What’s new and exciting in apps for the iPhone, one of the most popular mobile devices around? Watching what is happening with iPhone today gives us a glimpse into tomorrw’s trends, especially for you software developers out there who are working on “The Next Big App” to tap for mobile device usage. First, Apple put an end to uniform pricing at the iTunes store, introducing three pricing tiers (.69, .99, $1.29) that boosts the price of many of the store’s most popular tracks by 30%. The shift comes after music labels pushed for years for the right to try and squeeze more money out of their hit songs. To help surgarcoat the price increase, Apple offered to upgrade all tracks purchased to its highest quality 256 kbps AAC encoding standard, including songs previously purchased. Meanwhile Epic Records band The Fray (which currently has the #8 track on the iTunes Top Songs chart) became the latest to offer a $16.99 iTunes pass packaging extra content and new singles before they’re widely released. The Fray also launched a $1.99 “Live” App for the iPhone/iPod Touch, delivering interviews, videos and exclusive live video performances. There’s even a light show tool that responds to sounds picked up by the iPhone mike as well as some social functionality, enabling fans to upload pictures directly to thefray.net. Skype‘s new iPhone app continues to spark debate over net neutrality issues and restrictive telco policies. In an open letter from to the FCC, consumer group Free Press argues that the app, which attracted more than 1 million App Store downloads during its first two days in the U.S., is being unfairly discriminated against by AT&T, which has blocked the apps’ access to its 3G network making it useless without a WiFi connection. Leading iPhone audio, new app Stitcher announced a group of new content partners who will provide free ad supported podcasts for the network. New content providers include Newsweek, The Wall Street Journal Radio Network, Fox News Radio, Air America Media, POLITICO, IGN.com, TechCrunch, Quick & Dirty Tips and AOL Weblogs including Engadget, Switched, The Unofficial Apple Weblog and Joystiq. Stitcher also plans to release a BlackBerry version of the app in the coming weeks. Yahoo Messenger released a free app for the iPhone enabling IMs, photo sharing, conversation archives and additional settings. Social gaming developer Zynga, maker of top iPhone game Scramble, has released a version of the Facebook game Mafia Wars for the iPhone. Build your nest egg by pulling off crimes and settling scores with rival gangs. Trekkies looking for a bit of fun can try the new Star Trek Phaser app from Paramount Pictures just released to promote the premiere of the new Star Trek feature on May 8, 2009. 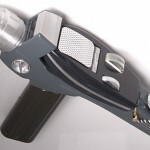 Tap the screen to shoot at moving targets in either stun or kill modes or tilt the phone for a better look at the Phaser featured in the movie. Tap “about” to access a trio of widescreen trailers. 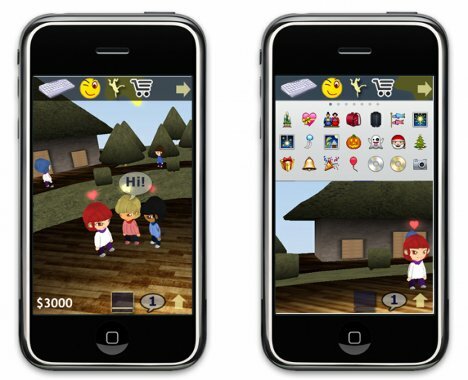 Reports are out about Genkii’s Sparkle 3D, the first ever virtual world to be developed for the iPhone. As TechCrunch‘s Serkan Toto points out, many developers haven’t yet made the most of the iPhone’s massive networking potential, perhaps contributing to the limited lifespan of current applications, but Genkii aims to harness the device’s interconnectivity. Sparkle 3D will be released later this year, or early 2010, and will comprise many of the components expected of a virtual world, including customizable avatars, virtual goods and that all-important social networking aspect. In the meantime, Genkii have launched an instant marketing tool, Sparkle IM, that allows iPhone/iPod Touch users to communicate with Second Life and OpenSim friends and contacts via their respective accounts. Previous PostMatt's on the cover of CityBeat!